Rev. James Abram Heard married Ann Eliza Houghton, daughter of Matthew Houghton and Jane Lumpkin, in Feb 17, 1846 at Macon, AL, USA. Martha Ann Houghton married Samuel Marion Speer in Nov 15, 1874 at Titus Co., TX, USA. Samuel Marion Speer married Martha Ann Houghton, daughter of William Michael Houghton and Mary Ann Bruton, in Nov 15, 1874 at Titus Co., TX, USA. Beulah E. (?) married Robert Alonzo Houghton, son of William Michael Houghton and Mary Ann Bruton. Kate Judson Shurtleff married Robert Alonzo Houghton, son of William Michael Houghton and Mary Ann Bruton, in Sep 24, 1912 age 35 & 36. Idanah Houghton married James Madison Campbell in Dec 27, 1877 at Lamar Co., TX, USA. James Madison Campbell married Idanah Houghton, daughter of William Michael Houghton and Mary Ann Bruton, in Dec 27, 1877 at Lamar Co., TX, USA. James Wiley Richardson married Nancy Jane Houghton, daughter of William Michael Houghton and Mary Ann Bruton. Sarah Elizabeth Argo married William Alexander Houghton, son of William Michael Houghton and Mary Ann Bruton, in 1891 at Lamar Co., TX, USA, age 18 and 18; mar 8 years in 1900 census. Fanny Howell Chapman married Dr. William Mortimer Houghton M.D., son of Theodore Mortimer Houghton and Annie Eliza J. Rutledge, in 1903 at Williamson Co., TX, USA, age 30 and 19; mar 6 years in 1900 census. 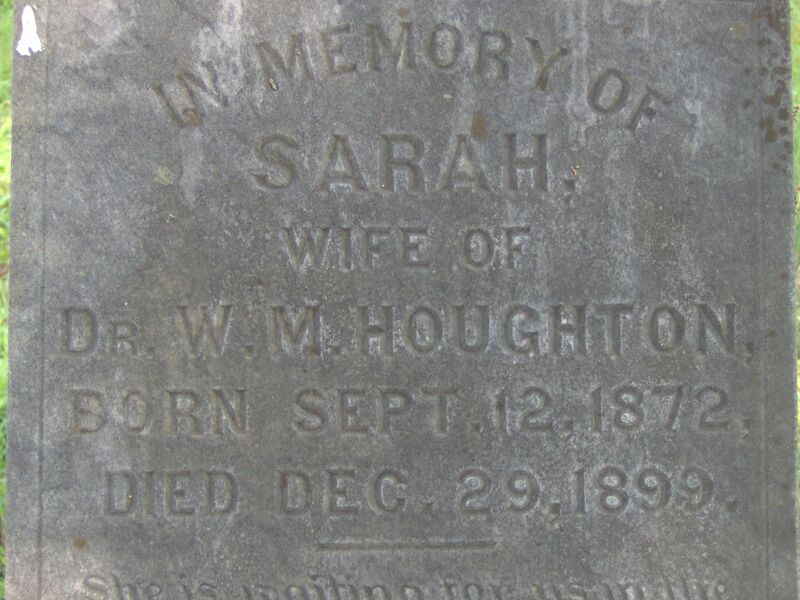 Sarah Chapman married Dr. William Mortimer Houghton M.D., son of Theodore Mortimer Houghton and Annie Eliza J. Rutledge, in Oct 15, 1892 at Williamson Co., TX, USA. 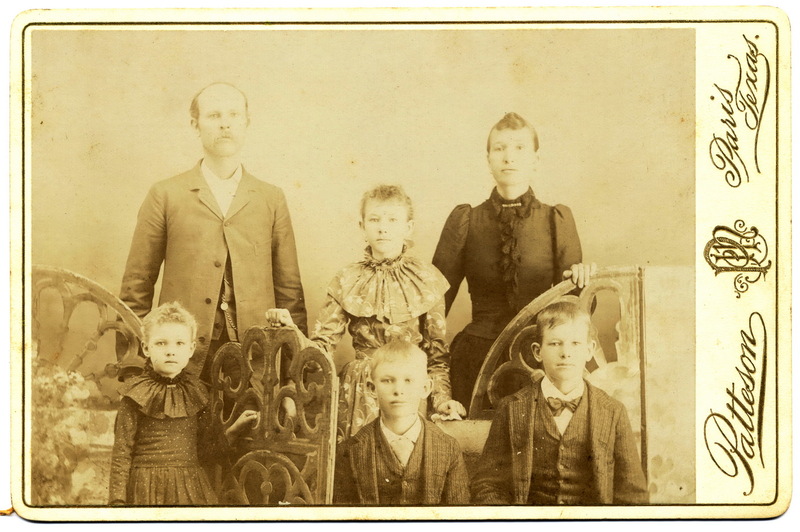 James Wesley Johnson married Annie Dee Houghton, daughter of Theodore Mortimer Houghton and Annie Eliza J. Rutledge, in Jun 24, 1891 at Williamson Co., TX, USA. Frederick Camp Houghton married Janie Elizabeth Luttrell in Oct 2, 1906 at San Angelo, TX, USA, age 19 and 18; mar 2 y in 1910 census. (?) Bundren married Velda Elvira Todd, daughter of Isaac Beason Todd and Mary Ellen Houghton. Mary Cheetham married Banks Haughton, son of James Clough and Ruth Haughton, in Feb 27, 1854 at Parish Church, Oldham, Lancashire, England.